The report said the establishment has failed to understand that civil society has an autonomous structure completely independent of the public sector. The report said although the new laws made it clear that associations should exercise self-inspection mechanisms, the over-regulating and over-supervising attitude of the state still remains in place. It said this meant that essentially, the root of the problem remained embedded in the legislation, albeit in a much alleviated form: “Unfortunately the custom of taking back rights given by laws via ‘soft’ legal instruments such as regulations or decrees and/or the curbing of rights through such means is a continuing trend.” The report also said the application of the law changed considerably from field to field, saying human rights groups particularly complained about differences and the arbitrariness in the enforcement of the law. 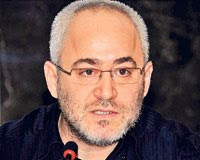 The report also noted that Turkey’s counterterrorism laws were still a major obstruction in the way of the freedom to organize and form associations, as noted by the European Court of Human Rights in various verdicts. The report, in line with the European court’s rulings, said bureaucrats and security officers often abused the tremendous powers vested in their hands by the current Counterterrorism Law. It said some very general and ambiguous descriptions of terrorism in the law created major problems regarding freedom of expression. Ethnic, religious, and other minority groups still frequently encounter "soft discriminaton" when applying for building permits, etc., and as noted here, the Anti-Terrorism Law, passed in 2006, has not helped, only greatly broadening the authority of bureacrats and security forces to restrict the operations of civil society groups that earn their displeasure. obligation to notify authorities before receiving financial support from abroad places a burden on associations. Negative portrayal in certain media and at times disproportionate inspections of NGOs receiving funds from abroad, including EC funds, remain a further cause for concern. Problems with registration of associations and foundations, in particular local representations of international NGOs, are still being reported. At least two other cases regarding major foreign NGOs (International Crisis Group and the Raoul Wallenberg Institute) have been pending for more than a year. Overall, the legal framework on associations is broadly in line with European standards. However, considerable progress needs to be made as regards its implementation, as associations still face disproportionate scrutiny of their activities, which in some cases has led to judicial proceedings. There is a growing awareness in public institutions and in the public at large about the crucial role played by civil society organisations, including in the accession process. However, some difficulties encountered with the consultation procedures reflect the lack of trust between State institutions and civil society organisations. The legal framework for collection of donations and tax exemptions for NGOs needs to be strengthened, in line with EU good practice, to improve NGOs’ financial sustainability. The Progress Report also cites the 3 month to one year sentence that may befall NGO executives who fail to keep proper records. For an excellent look at the Turkish environment for NGO operations in light of the accession process, see Nigar Goksel and Rana Birden Gunes, "The Role of NGOs in the European Integration Process: The Turkish Experience," South European Society and Politics, Vol. 10, No. 1 (April 2005), pp. 57-72. Rasmussen: A Friend to Turkey After All? Yet Another "Valley of the Wolves" . . .
Pondering Transitional Justice in Turkey . . .